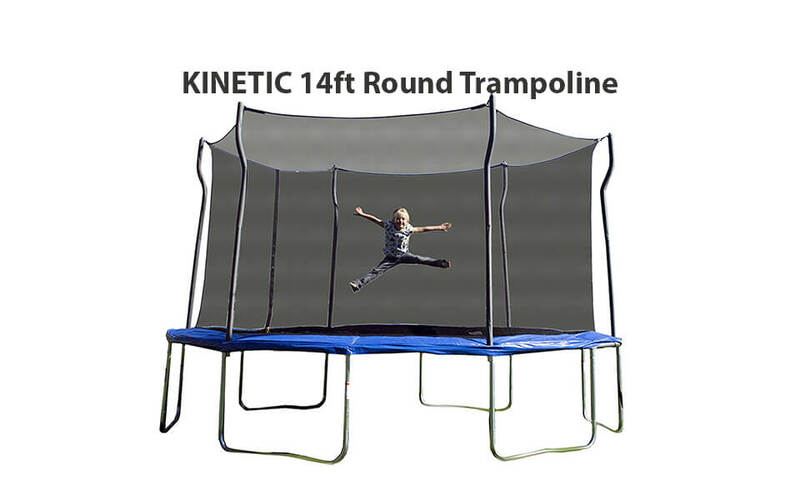 This 14 feet trampoline is one of the cheapest around that we’d be confident to recommend. It’s a basic unit but there is nothing particularly wrong with it. In fact, there are 6 U-shaped legs which gives it extra stability compared to some more expensive models. 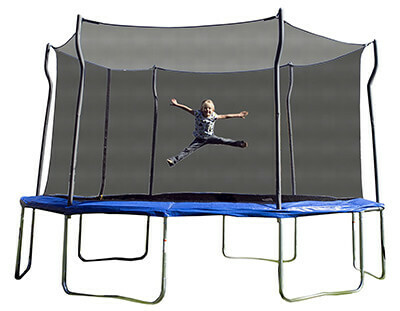 It comes with neatly shaped enclosure poles. 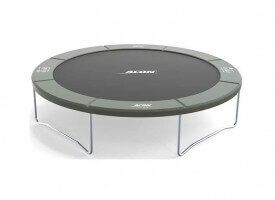 The mat and springs are basic; there are 72 springs on offer which is expected for this price range. The blue safety padding is there but we’ve seen thicker and better; take care. 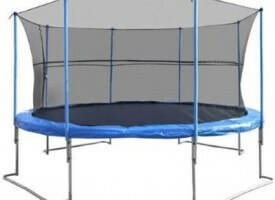 The trampoline shouldn’t rust and corrode and can be left outside. The problem we’ve heard about that sometimes it arrives with missing parts and can be a bit difficult to install. But once you do, it becomes a non-issue. 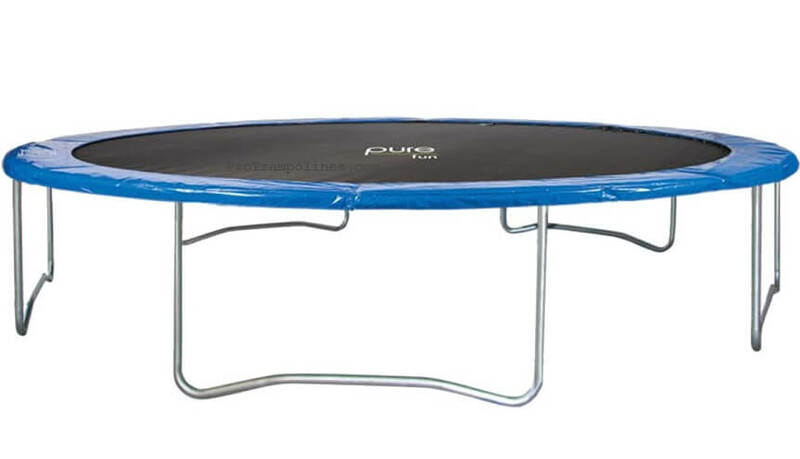 It is rated for up to 275 lbs. 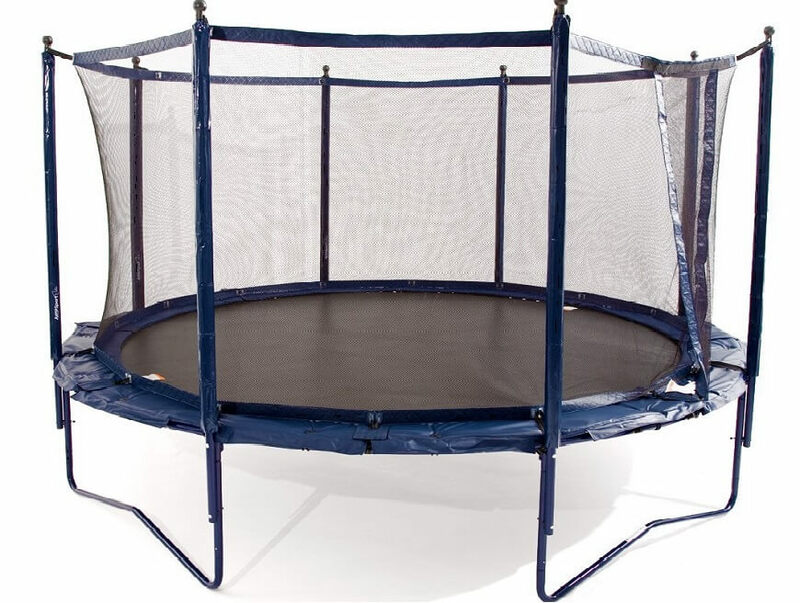 of weight, so even plus-sized adults can bounce without problems. 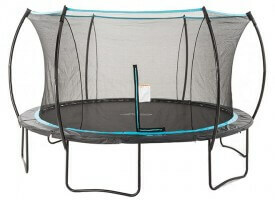 Overall, this is a basic trampoline that still represents a step up from the cheapest, unsafe chain store models. So if you’re on a tight budget, this is the absolute minimum that we feel is safe to recommend.